Since 1999, Carrington Farms has been making delicious, 100% organic, non-genetically modified Health Food Productsaccessible to nutrition-conscious consumers around the United States. Our comprehensive line of flax and coconut oil products serves a range of purposes, from conditioning hair and nails to weight loss and staving off chronic disease. From our pure whole seed flax to our chia blends and cold-pressed organic extra virgin coconut oil, all of Carrington Farms' vitamin and mineral-full health food products are a great way to start adding a little more nutrition to your everyday life! Whether you have a family history of certain cancers, are beginning to experience the symptoms of arthritis, or are simply trying to slim down for bikini season, flax seed benefitsyour immune system, metabolism, and more! The vitamins, lignans, fatty acids, and phytochemicals in flax, combined with its low amount of carbohydrates, make this tiny seed bigger than the sum of its parts when it comes to your well-being. Carrington Farms flax seed benefits don't end with your body, however--our unique packaging is great for the environment, too! 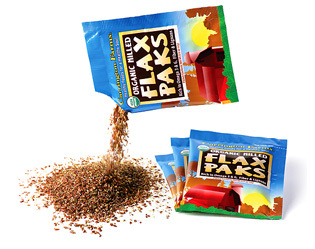 As a company dedicated to preserving the earth that grows our products, Carrington Farms' innovative single-serving Flax Paks pouches are specially-designed to keep flax fresh for up to two years--so none of this precious seed need be wasted! Carrington Farms uses a special micro-cleanse process to make sure all of our ground flax and other flax products are jam-packed with the most naturally-wholesome nutritional content possible. After hand-picking only the finest organic seeds for our products, we test each seed four times to be sure you are receiving the best flax products available. The fresher a seed is, the more health benefits it can pass on to you—which is why we're dedicated to providing the cleanest, highest-quality flax seeds on the market today! Our motto is, "Healthy foods for a healthy soul." Order ground flax and more from Carrington Farms today, and experience the joys of a healthful life!